It is time for white-ball action in cricket with some of the best advertisers of the game ready to take the center stage through a multi-nation tournament in Asia Cup. The tournament will see the top five Asian giants along with Hong-Kong, squaring up against each other for the coveted trophy. As many reckon, this can be one of the most closely fought Asia Cup in the history of 34 years, with nothing to chose between the top five teams. Though it does seem that the Men in Green Pakistan have the most balanced side. Under the leadership of Sarfraz Ahmed, Pakistan has done exceedingly well with a Champions Trophy 2017 win against India in the Final being the highlight of their efforts in past one year. Here's a look at 3 reasons why Pakistan can win the Asia Cup 2018. Pakistan's recent limited-overs performances are buoyed by their top order exploits with the likes of Fakhar Zaman, Imam ul-Haq and Babar Azam contributing a majority of the team's runs. 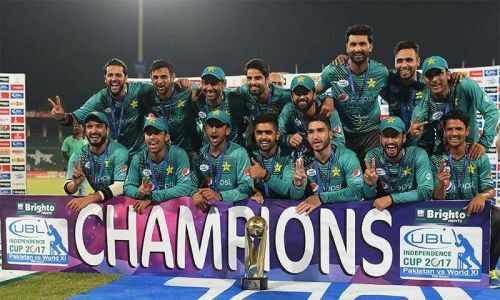 In their last overseas assignment to Zimbabwe, Pakistan crushed the hosts 5-0 to account for their successive series win after beating Australia in the Tri-series Final. With Zaman leading the way, Pakistan has looked a formidable side as they look to resolve their batting issues from the past. The likes of Babar Azam and Shoaib Malik in the middle-order provide the much-needed solidity to them. 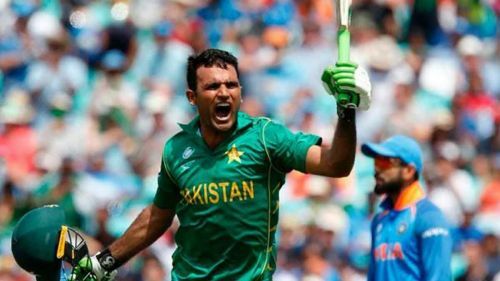 In the lower-order, Pakistan boasts of a number of all-rounders, who are equally capable of tonking the ball hard and providing the much-needed impetus at the end. It could well turn out to be the perfect outing for the Sarfraz-led team as they might ride to the glory riding on the back of an inspiring run by their batters.